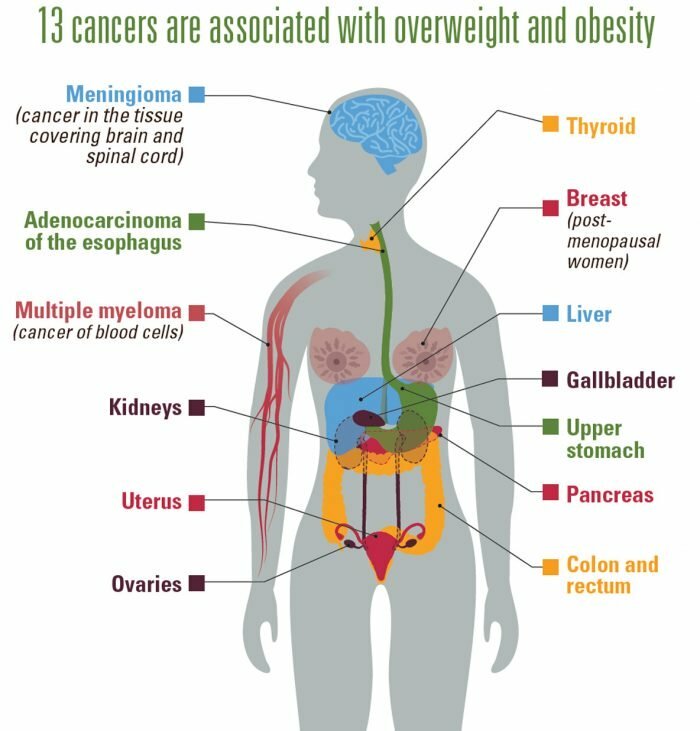 "Obesity is the new smoking..."
But if current trends continue, obesity will become the #1 cause of cancer among women in Britain by 2043, according to the authors. As it stands, smoking is behind 12.4% of cancers in UK women, while obesity is the cause of 7.5% of cases. Among men in the UK, 17.7% of cancers are caused by smoking, and 5.2% are caused by obesity. The gap is reflective of the fact that more British men than women smoke cigarettes. The authors reached their startling conclusion by analyzing incidence data between 1979 and 2014. They are using the report as an opportunity to call on lawmakers to reduce the prevalence of obesity in much the same way they reduced smoking rates – through legal action and national campaigns drawing attention to the dangers of carrying excess weight. “Obesity is a huge public health threat right now, and it will only get worse if nothing is done. More men than women in the UK are obese, but excess weight poses a unique threat to women in the form of obesity-related cancers, including breast and uterine. Many Britons aren’t aware that obesity is linked to 13 different types of cancer, including breast, bowel, and kidney, and that lack of knowledge has spurred Cancer Research UK to launch a campaign of its own to raise awareness of these links. Stevens pointed out that “expanding waistlines” cost taxpayers a small fortune in terms of treatment for obesity-related health problems – not only cancer but also heart disease and Type 2 diabetes.